We use modern materials with well maintained equipment. All patients are treated with empathy and given sufficient time . 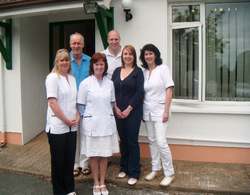 We take great care in treating nervous patients and patients with special needs. Keith McCourt B.D.S. Dundee 1999.